It's time for yet another iSource giveaway! Gear Zap is offering an iPad Air prize pack featuring four different accessories design to enhance your tablet experience. Come on in to find out how to enter! This case/stand combo will keep your iPad Air protected, while also allowing for easy viewing of photos, videos, or surfing the web. The speakers, mic, cameras, and buttons all remain accessible while in the case, so there’s no need to remove and reapply. Who doesn’t love a good screen protector? 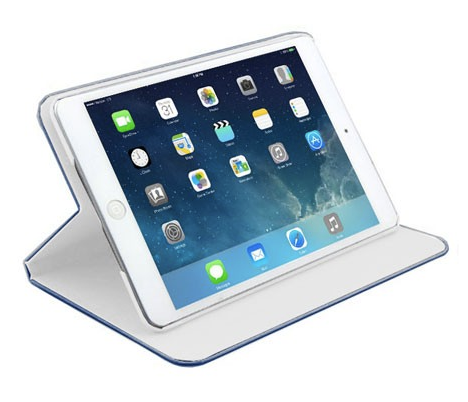 This one has been custom fit for the iPad Air to keep yours protected without needing a case. 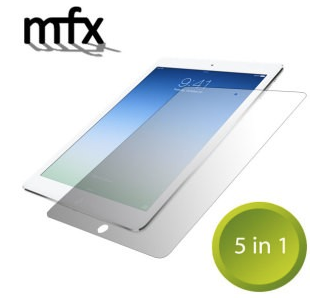 And should the screen protector become scratched, you get five in this pack so you’ll have plenty for backup. 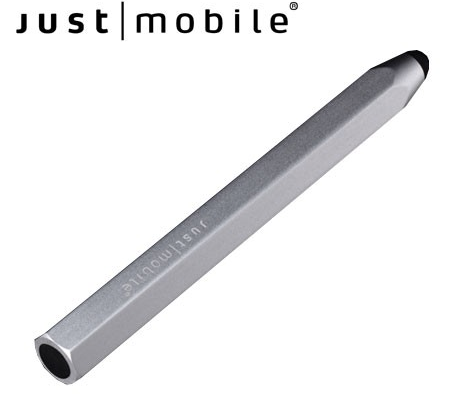 This stylus pen works with many tablets and is ideal for your new iPad Air. It’s ideal for writing, drawing, taking notes, and more. It’s extremely accurate features a thicker frame, so it feels nice and sturdy in your hand. This portable bluetooth speaker will never leave your side. It features a loop so you can attach it to your belt loop, bag, or purse. The built-in microphone allows you to make and receive calls, and it includes a rechargeable battery with up to six hours of audio playback. Just add ONE comment to this post, making sure to fill out the ‘email address‘ field (don‘t worry, it won’t be displayed and we won‘t use it for any other reason than to contact you if you win) and you‘re in with ONE entry to win this iPad Air prize pack. This contest is open to residents worldwide. We’ll draw our winner on Sunday (12/22/13) sometime after 8:00pm US Eastern time. Good luck! Please note: only accessories are included in this giveaway. iPad Air sold separately. Special thanks to gearzap.com for their generosity! This looks like a great prize pack. Thanks for the giveaway! The new iPad Air is a sleek device. I’ll look forward to owning one after winning this accessory pack. HOLY MOLY! I HAVE TO WIN THIS! Thanks for a superb giveaway. Awesome prize pack 🙂 Just in time for the Christmas Season!! Great great giveaway. Sometimes winning an ipad is not enough because accessories are so expensive so i hope i win all these. How out of this world awesome would it be to win this! Ipad Air prize pack. Beautiful fiancée in need of one. Winning it for her….boom….best Christmas ever! Great addition to the gift that is hiding in the gift closet!! Happy Holidays!! I want one! I just purchased my iPad Air! iPad Air prize pack! What a great gift… Thanks! I’m also purchased my iPad Air yesterday. Is this offer still valid? iPad Air prize pack – just in time for this white xmas. Lots of interesting extras a couple I never hear of before. Man this would be great for Christmas!!!! Seriously, That would be a Christmas miracle. I love my Ipad (first gen) but it’s slow……. Wow I hope I can win an iPad… I haven’t been to the Apple Store in a while so I don’t know what the iPad Air is like! Ahahaha… Good luck everyone!!! Awesome giveaway!! Never owned a Apple product so this would be wonderful!! Thanks so much for your generosity!! 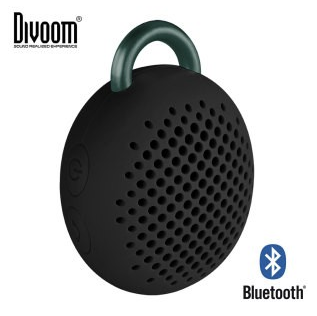 Awesome giveaway and the portable bluetooth speaker is so cool! I’ve been looking for a really good stylus, haven’t found one that I like. I want L.LA iPad Air Case and Stand ! White one is elegant and extremely appealing to me. And L.LA iPad Air Case and Stand have nice design and good quality. I like it very much! Great gear to go along with a good apple product. Great stuff – I really like the speaker. That bluetooth speaker would be really cool!! I’d love to have these for my iPad Air.